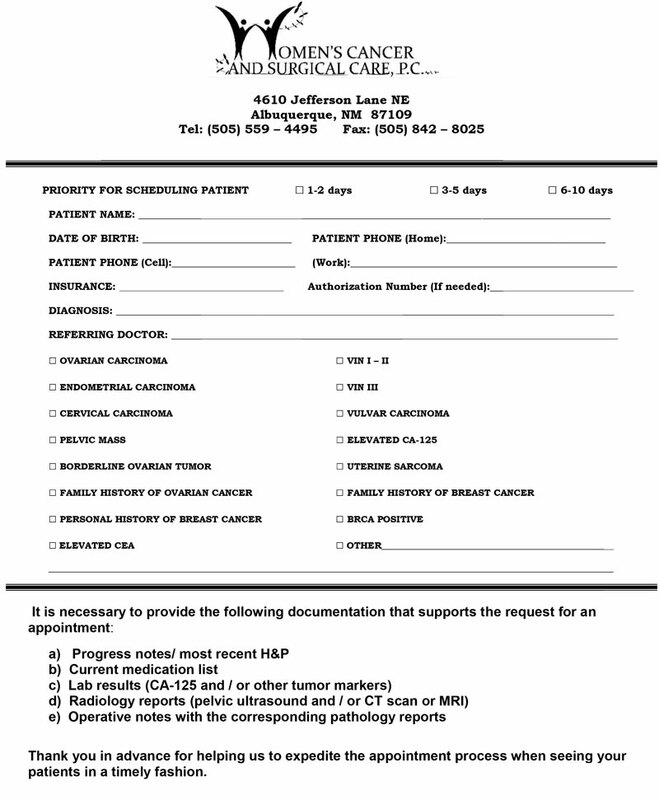 Referring Physicians - Women's Cancer and Surgical Care, P.C. We’re grateful for each referral you make to WCSC, whether it be for a patient requiring an initial cancer assessment, screening or surveillance, treatment, or a second opinion. We will keep you informed throughout the referral process and your patient’s course of treatment.